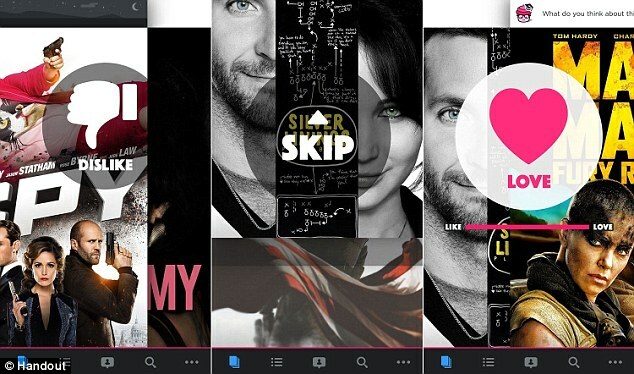 First you could swipe until you found a romantic match and now you can swipe until you find the perfect film. MightyTV has launched a new app that gives users the ability to 'swipe away the frustration of what to watch next'. Powered by machine learning and collaborative personalization mechanism, an AI matches users with movies and television shows based on their personal preferences, as well as their friends'. This app is the brainchild of an ex-Google employee, Bryan Adams, who has been dabbling with ways to solving the issues surrounding discovery. His new venture, MightyTV, aims to help users discover and stream the best flicks and television shows with just a few swipes of the finger. Movie enthusiasts log in their personal preferences by swiping through titles and the app gathers your friend's opinion through Facebook 'so you spend less time searching, and more time streaming stuff you love', says the firm. The service currently offers 11,000 videos in its searchable inventory, but it is looking to add more as time progresses. And just like Tinder, MightyTV members are given one piece of video content at time and swipe right to like to or left to give it a thumbs down. MightyTV's algorithm also grows a little smarter with each swipe and can learn preference after about 100 of them, according to Adams. 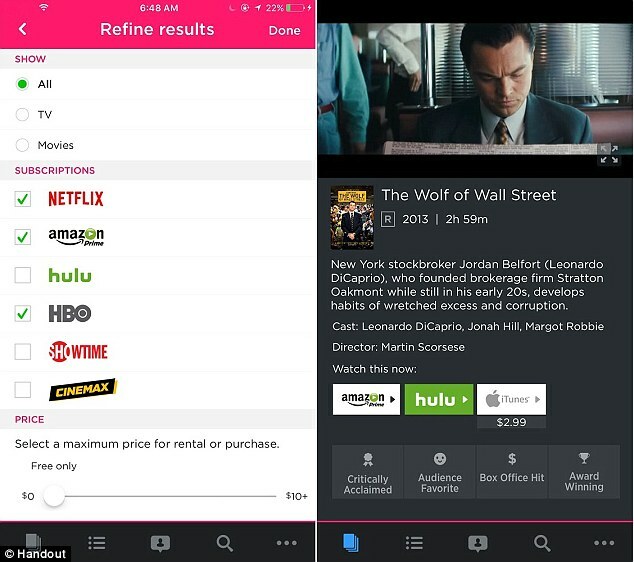 However, this service doesn't stream films or programs to your device, it links with other apps such as Netflix, Amazon Video, Hulu, HBO Go, Showtime and Cinemax to let you know where to find your next show or film. This might sound similar to Netflix, but the California-based streaming service uses super-granular genre-based suggestions, like 'goofy dance musical' and 'coming-of-age animal tales. MightyTV creates a more personal experience with profiles based on behavior and taste – not categories. 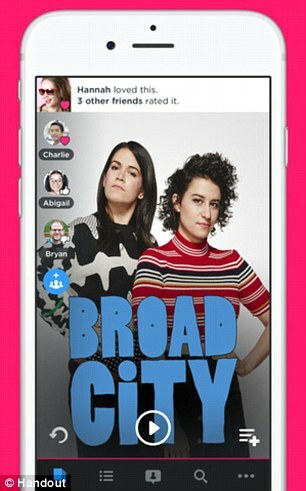 The new app isn't throwing genres out the window, but aims to be predictive about a users' wants, rather than basing suggestions on what was previously watched. 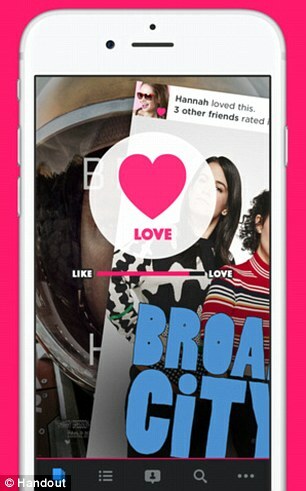 'We're not trying to figure out if you love rom coms and then hit you with a lot of rom coms,' Adams told AdexChanger. The firm isn't just trying to make a single user happy, it's also looking to solve the problems couples and groups choosing have when agreeing on what to watch. Dubbed Mashup, the feature allows up to 10 people to combine opinions by swiping into a collective video playlist that displays suggestions that are relevant to everyone's viewing choices. 'One insight that came out of our user interviews is that a lot of couples have stopped watching together because they can't agree on what to watch,' Adams said.